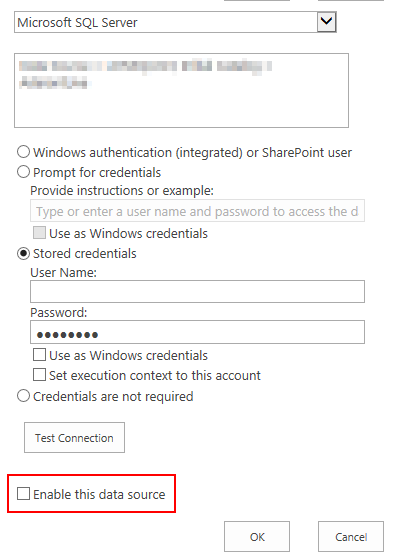 Following an upgrade to SharePoint 2013 and claims based authentication, SSRS reports fail to load and you receive the error “Microsoft.SharePoint.SPException: User cannot be found”. Unfortunately, many blog posts and forum entries say that you have to reload all the reports and data sources and I’ve been unable to find any alternative. What I describe here is my attempt to make the process of reloading reports and data sources as painless as possible. 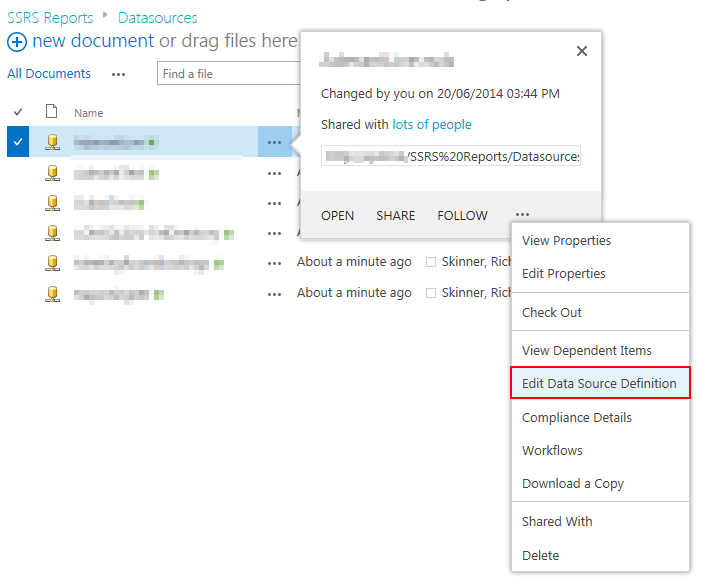 Within SharePoint 2013, navigate to the SSRS report library. Take a note of the configuration of each data source as you will need it later. Next, take a note of the data source used by each report. Next, from the ribbon, choose to “Open with Explorer”. Within the Explorer view highlight all the report and data source folders. Copy and paste the contents to another location, e.g. local hard drive, or network drive. Now select all the folders on the local drive and copy and paste them back to SharePoint 2013, overwriting the existing files. I found that following this process the data sources became disabled, so for each data source edit the data source definition, re-enter any credentials and enable the data source. Once the data sources have been configured, reconnect each report to the appropriate data source. If anyone knows of a better way, which doesn’t involve redeploying all the reports and data sources, please let me know! 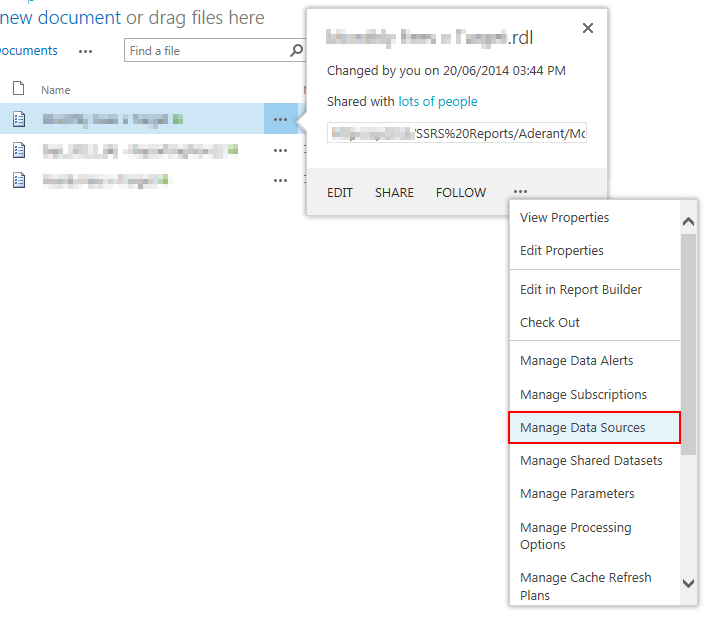 This entry was posted in SharePoint and tagged SharePoint 2013, SSRS on June 20, 2014 by richardstk.